With incredible weather like we have recently had it was an absolute pleasure to call out to photograph this stunning extension here in Wexford with the sun beaming in from all angles. 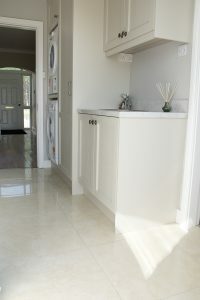 This beautiful family home of 16 years has been transformed and needles to say the owners are ecstatic with the results. 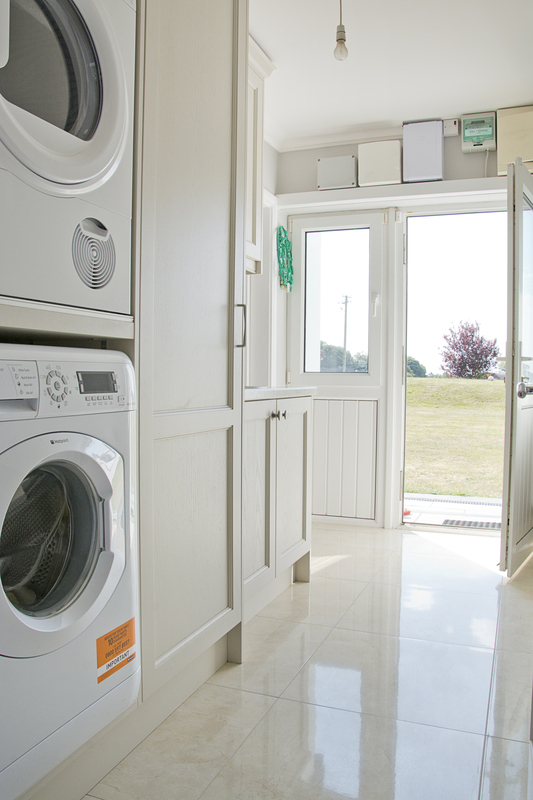 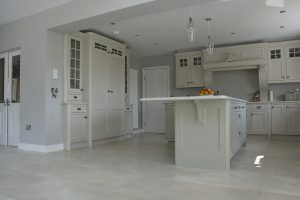 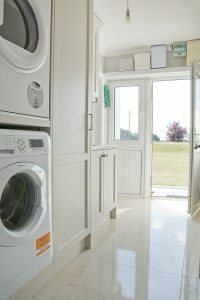 Their previously dark small kitchen has had a complete revamp, making the decision to permanently remove an old door to the utility provided them with more space for their new fitted kitchen and opening up and extending past the old exterior wall gave them a huge amount of extra space for furniture, which has yet to be added. 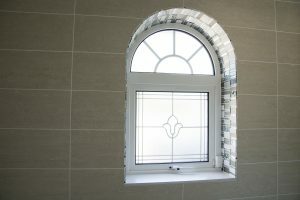 It has also given them a huge amount of natural lighting bringing the outside in with a stunning exit to their beautifully groomed gardens. 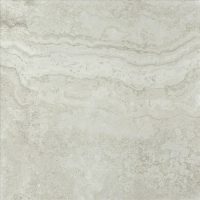 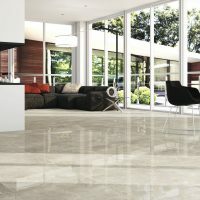 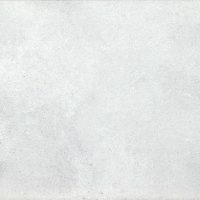 For the floor our clients have chosen the incredible Arpege Tortora 60×120 rectified porcelain tile. 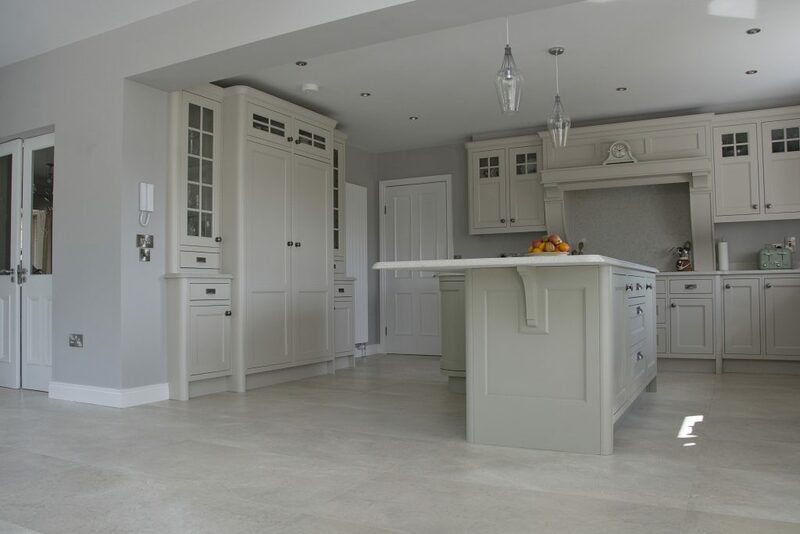 With their kitchen chosen prior to flooring it was their aim and ours to compliment the kitchen and this large format tile was just perfect for the area. 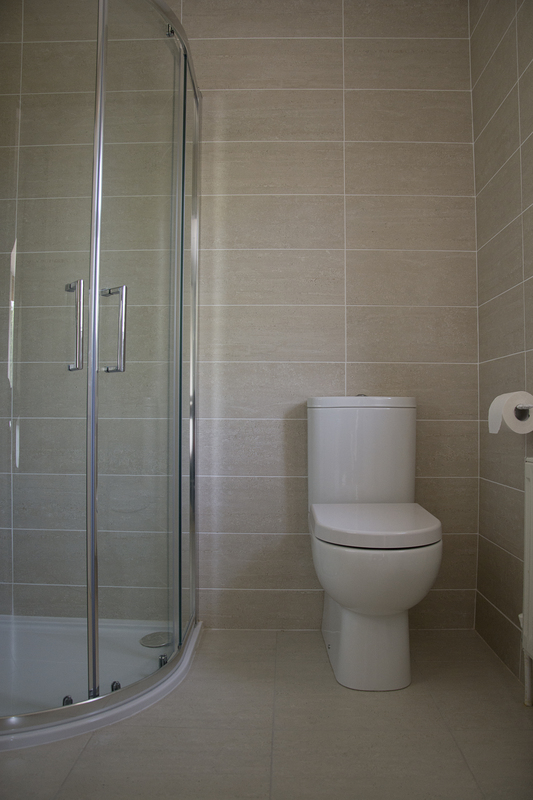 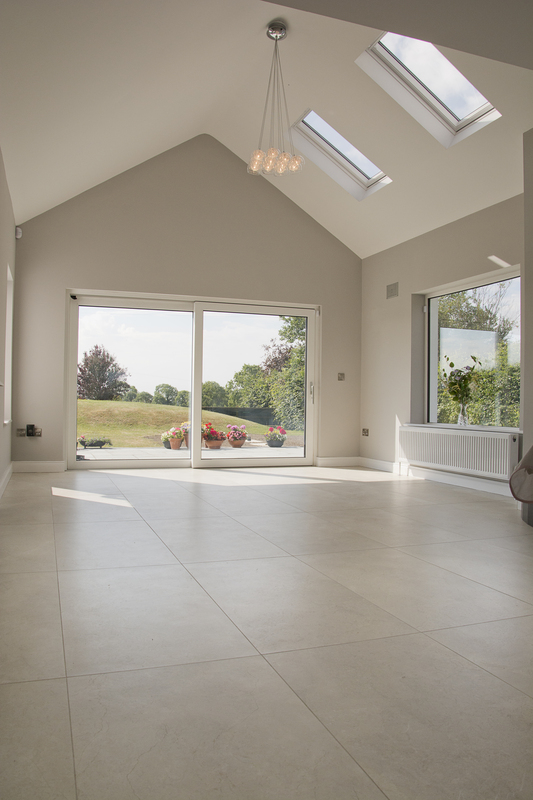 Moving in to their existing utility they have transformed this area, reflecting the natural light and opening everything up with the beautiful Crema Marfil 60×60 porcelain polished tile. 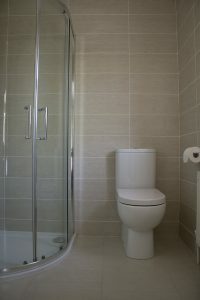 To complete the work to the downstairs of their home our clients revamped the downstairs en-suite with the popular Regent Natural 20×60 wall tile and Regent Ceniza 43×43 floor tile. 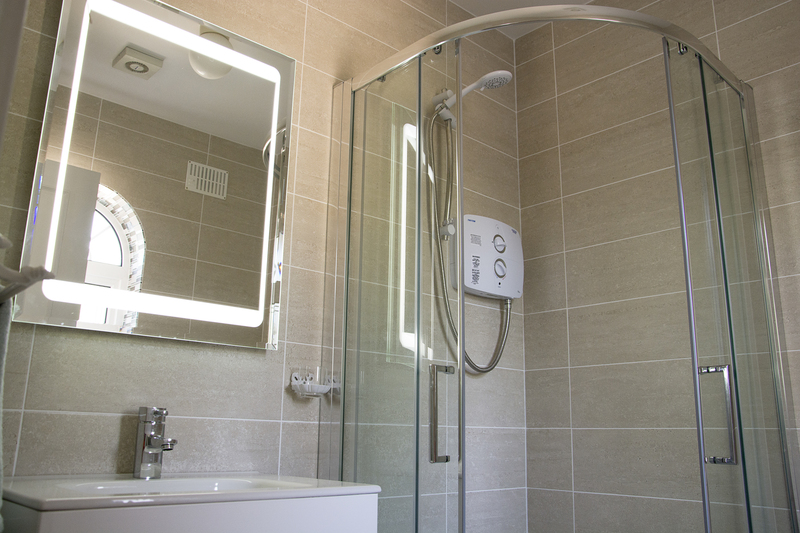 Replacing the existing and dated coloured tiles which the client had grown tired of over the years with the stunning, timeless Regent really transformed this room. 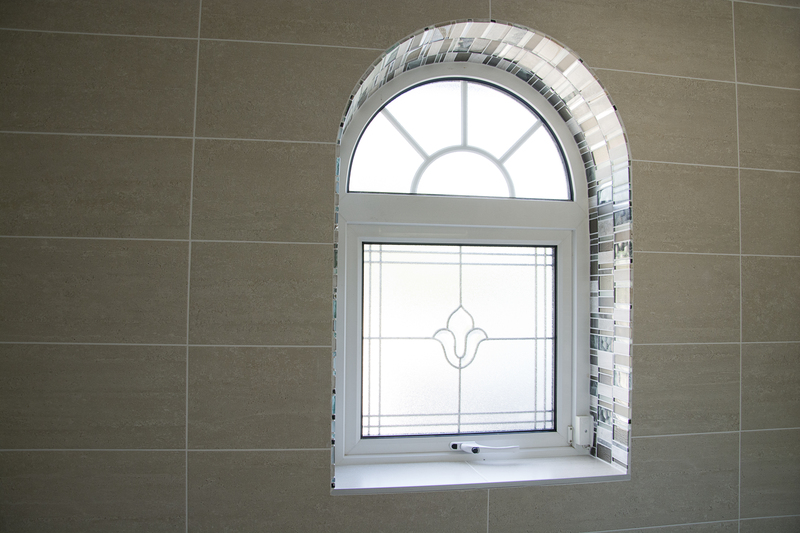 With a beautiful arched window in this room our client decided to go for something different and rather than ad borders to the room itself they added character with a beautiful mosaic, our Quartz Grey mosaic, around the window which we think looks stunning and is just enough in a room this size.